A telephone directory, also known as a telephone book, telephone address book, phone book, or the white/yellow pages, is a listing of telephone subscribers in a geographical area or subscribers to services provided by the organization that publishes the directory. Its purpose is to allow the telephone number of a subscriber identified by name and address to be found. 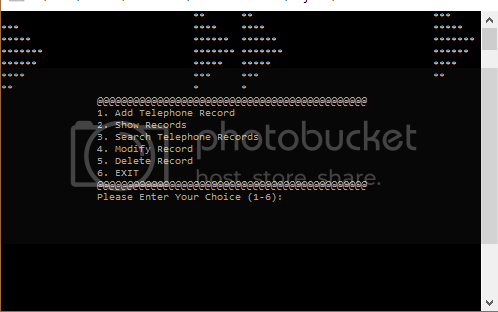 This is a simple Telephone directory program written using the C++ programming. It uses very simple file handling operations to make up the whole project; these include adding, deleting, searching, listing and modifying records, to or from file.